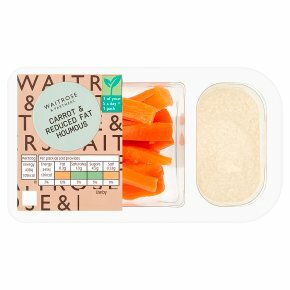 INGREDIENTS: Carrot (60%), cooked chick peas, water, tahini (sesame seed paste), rapeseed oil, concentrated lemon juice, salt, garlic. Allergy Advice For allergens see ingredients in bold May also contain nuts, peanuts and sesame. May contain: peanuts and nuts.